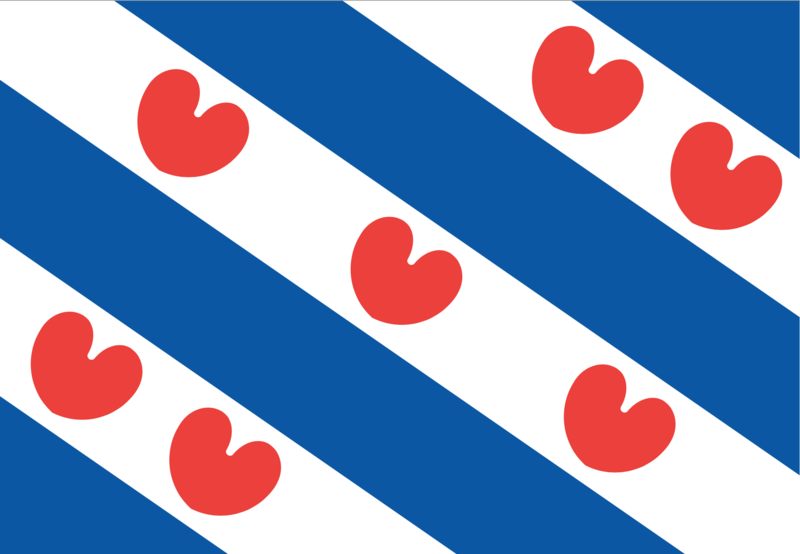 Bernlef, the Frisian student association in Groningen, recently submitted a request for the creation of a Frisian flag emoji. But what is the history of the regional flag and other flags across Groningen, Drenthe and Friesland (none of which appear in emoji form, at least not yet)? In the Netherlands, every municipality and province has its own distinct flag, including each of the inhabited Frisian Wadden islands. Some of the flags seems to have been inspired by each other and, much to the chagrin of Groningers and Frisians, their provincial flags actually have a shared history. The municipality of Terschelling has had its current rainbow-like flag since 1961. The five coloured stripes across it symbolise different aspects of the island. The red stripe stands for red clouds, blue for blue clouds, yellow for beach grass, green for green grass on the interior of the island, and white for the sandy beaches. The flag for the Wadden island of Schiermonnikoog was adopted in 1949, but it was technically just affirming a design which had been used since the 17thcentury. Their flag also features a number of horizontal lines: the red, white and blue lines refer to the Dutch flag, and a single green stripe through the middle stands for the island. 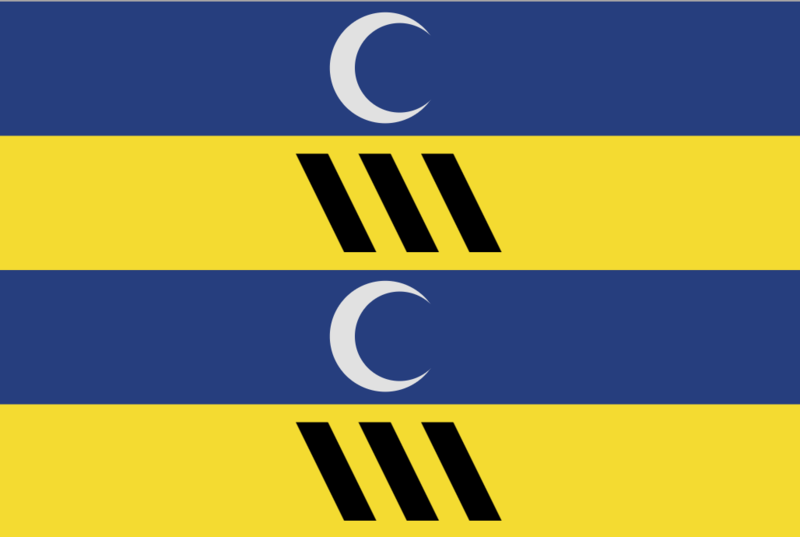 The Ameland flag was adopted in 1950 and features two horizontal yellow stripes with three smaller black stripes, and two horizontal blue stripes with white crescent moons. The design for the flag is based on the island’s coat of arms. On Vlieland, the flag design features two wide horizontal stripes, one white and one green, symbolising the sand and grass of the island. The design for the banner has reportedly been in use on the island since at least the 17th century. In the province of Groningen, the flag design is also based on coats of arms: that of the Ommelanden (the three traditional cities of Hunsingo, Fivelingo and the Westerkwartier) of the province, which has existed since the 16th century, and that of the city of Groningen itself. The historic provincial coat of arms featured red, white and blue colours and bore more than a passing resemblance to the Frisian flag, red heart-shaped lily pads and all, and the city colours were white and green. The current flag was adopted in 1950. Drenthe’s provincial flag design dates back to 1947, making it the first official provincial flag in the Netherlands. 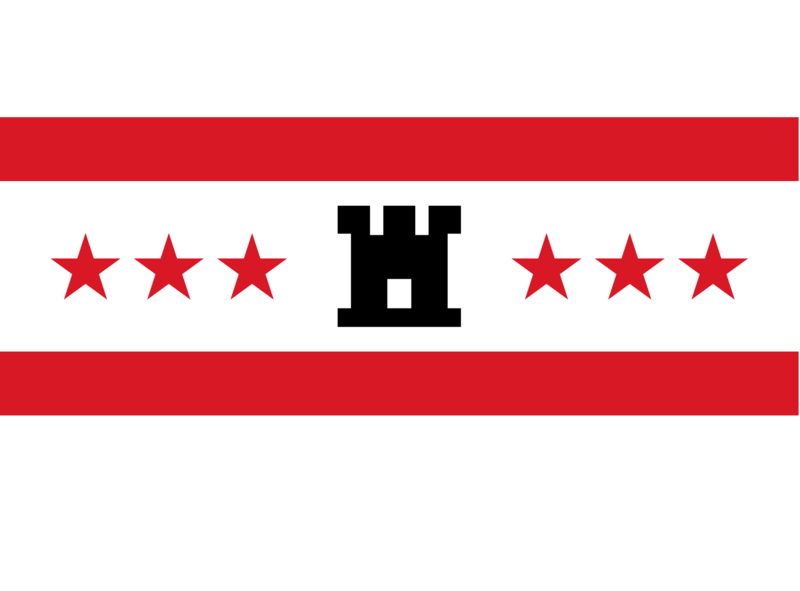 The colours of the flag – red and white – refer to the traditional Saxon colours, and the main feature of the flag is the silhouette of a castle tower, based on the Coevorden castle. Perhaps the best known regional flag, the Frisian flag is designed based on blue and white diagonal stripes and seven red lily pads, alluding to the seven Medieval sea countries of Friesland: West Friesland, Westergoa, Eastergoa, Hunsingo, Fivelingo, Emsingo and Jeverland. The lily pads have been a part of Frisian heraldry since at least the 13th century. Although every municipality has its own flag, here’s the history of the designs for the biggest cities in the north. Even though Leeuwarden’s name may sound like it has something to do with lions, the city’s flag does not feature the heraldic animals. 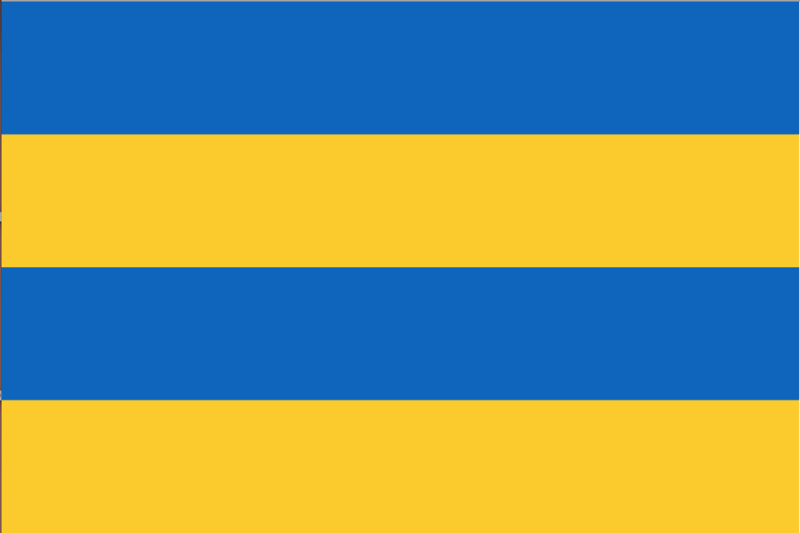 Similar to the Ameland flag, the Frisian capital’s flag is alternating yellow and blue horizontal stripes, and the design dates back to the 1700s, but it is not clear what the colours stand for. For special occasions, there is a separate pennant that flies alongside the flag featuring yellow lions. 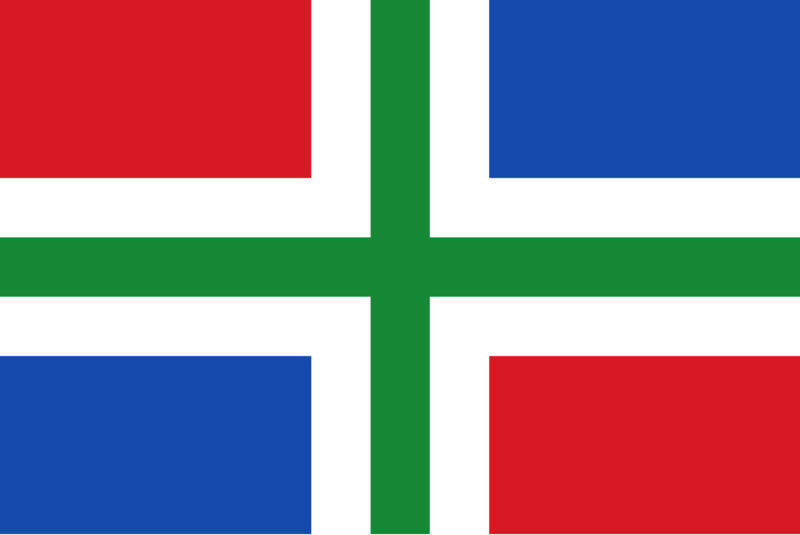 The city flag of Groningen actually bears some resemblance to Vlieland’s design, featuring white and green horizontal stripes. A similar design has been in use since the 17th century, and the current form was first spotted in 1879. 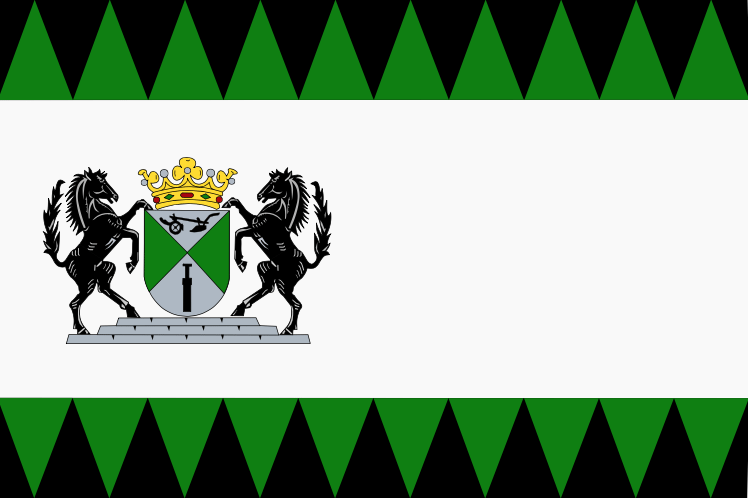 The Drenthe city of Emmen’s flag is much more elaborate than most other northern striped designs, featuring two black horses rearing up besde a green and grey shield topped with a crown and decorated with green and black triangles around the board. The shield is the coat of arms of the municipality and includes a plough and a peat cutter, referring to the area’s agricultural character. Assen’s flag, which was adopted in 1959, is simple: two horizontal stripes, one blue and one white. The colours of the flag are the traditional colours of the city, which also feature in the city’s coat of arms.